Join us to toast old friends and welcome new ones in a celebration of the changing shape of the Philadelphia art scene. Philadelphia has been recognized for some time as a welcoming, affordable, and supportive city for artists to move to – from New York, or anywhere else. But while new artist transplants arrive here daily, some also leave. For many, Philly is a great place to experiment, develop new work, and build relationships, before moving on to a new opportunity. 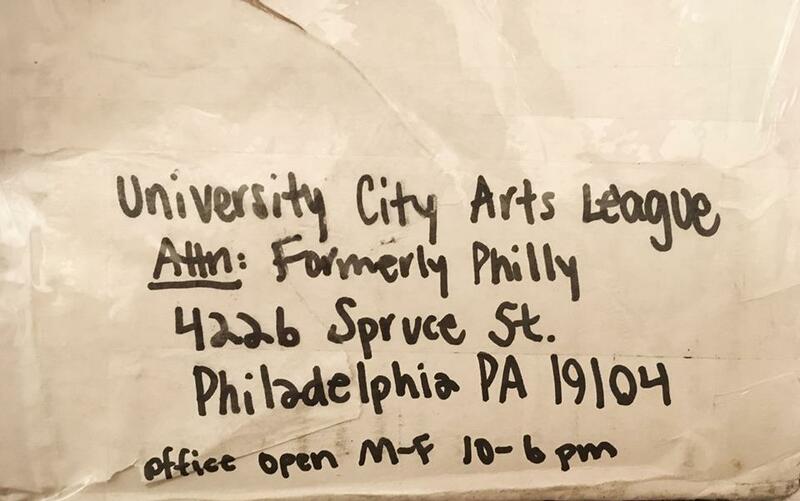 The artists in Formerly Philly have all lived and worked in the Philadelphia area before heading off for other prospects. Their time here informed and supported their work, and UCAL is pleased to welcome them back to share with us where they’ve gone since.